Against this narrative, Moore sees capitalism not as a social or economic system that acts on external nature in more or less destructive ways, but as itself a world-ecology–a “way of organizing nature” through the “co-production of earth-moving, idea-making, and power-creating across the geographical layers of human experience” (p.2, 3). Moore therefore asks us to take seriously the ecological dimensions of all capitalist change, which unfolds through what he terms the “double internality” of “humanity-in-nature/nature-in-humanity” (p.5). In bringing this anti-Cartesian framework to bear on the history of capitalism, Moore undertakes a revision of Marxian value theory that holds much promise for scholarship in resource, agricultural, and animal geographies, and for critical engagements with “neoliberal natures”. In brief, Marx’s labor theory of value states that the substance of value is abstract labor, and its measure is (in David Harvey’s  terms) socially-necessary labor-time (p.53). As Marxist-feminists have long argued, however, the privileged status accorded to wage labor in capitalism and in Marxian theory occludes the unpaid, gendered work that both reproduces labor-power and determines its value (e.g. Federici 2012; Fortunati 1996). Drawing on this tradition and taking up George Caffentzis’s (1992) concept of “work/energy”, Moore links the appropriation of unpaid reproductive labor with the appropriation of the unpaid work/energy of extra-human natures. That is, any increase in labor productivity is predicated on the production and appropriation of “Cheap Nature” as “a rising stream of low-cost food, labor-power, energy, and raw materials to the factory gates” (p.53). The law of value, Moore argues, is therefore “a law of Cheap Nature”. In historical terms, this means that every new wave of accumulation that expands commodity relations is accompanied by a disproportionately large wave of appropriation of unpaid work/energy that underpins the increase in labor productivity. Abstract social labor thus depends on the production and appropriation of “abstract social nature”, a process that entails new scientific practices, measurement techniques, and representational forms alongside direct techniques of violence and dispossession. It is here that Moore marks a crucial distinction between capitalism as a historical project that must render nature external in order to ensure its appropriation, and capitalism as a historical process that involves the appropriation of both human and non-human nature. “Importantly,” Moore writes, “capital’s appropriation of unpaid work transcends the Cartesian divide, encompassing both human and extra-human work outside, but necessary to, the circuit of capital and the production of value” (p.55). Moore thus inverts the relation between appropriation and capitalization presumed in conventional political economy, an inversion which distinguishes his account from analyses of primitive accumulation: rather than appropriation operating in the service of capitalization (by expanding commodity relations), Moore suggests that capital’s guiding imperative is in fact to expand the sphere of appropriation (p.103). This argument is based on the assertion that any increase in labor productivity is predicated on a rising “ecological surplus” of Cheap Nature, in the form of energy and raw materials as well as labor-power whose reproduction remains uncompensated by capital. But because capital appropriates cheaply without paying the costs of this reproduction, it tends to exhaust its own social-ecological conditions. Moore thus posits a general tendency for the ecological surplus to fall, and for cheap nature to become less cheap. As capital must internalize an increasing share of the costs of reproduction, production costs rise, accompanied by stagnating production and accelerating financialization. Moore therefore argues that capital expands geographically not to increase the “domain of commodification as such; it expands to shift the balance of world accumulation towards appropriation” (p.102). In the process, however, it advances a cumulative tendency toward an expanding sphere of commodification, encountering its own limits insofar as it tends to exhaust all available “frontiers” of appropriation. Moore’s depiction of capitalism as simultaneously appropriative and exploitative enables a historical perspective on the capitalist transformation of nature (both human and nonhuman) beyond narratives of the endless expansion of commodification. Moore is not alone in linking Marxist-feminist and ecological critiques of capitalism, but his efforts to integrate this understanding of social-ecological reproduction into a historical theory of capitalist crisis is a considerable contribution to work in all regions of political economy and Nature-Society scholarship. His approach also offers a powerful response to emerging calls for greater attention to value in critiques of neoliberal natures (Dempsey and Robertson 2012), suggesting that an analysis of value involves a broad examination of how new forms of environmental knowledge and discourse work alongside policy innovations, not only to expand the sphere of commodification, but also to render new natures appropriable. Moore’s general theory of Cheap Nature also intervenes in the literature on fossil capitalism (Altvater 2006; Malm 2016), which, he argues, fetishizes fossil fuels by ignoring earlier periods of capitalist expansion enabled by the mass appropriation of slave labor, wood, and agricultural land (p.177). But despite the close proximity of Moore’s approach to critical scholarship in Nature-Society geography (a term Moore rejects for its obvious invocation of the pernicious “Cartesian binary”), much of the geographical literature with which Moore’s work resonates most strongly remains conspicuously absent from the book. Moore makes much of Marx’s notion of underproduction–referring to raw material shortages resulting from capital’s failure to invest in their reproduction–which he argues has remained undertheorized as a “casualty of dualist habits of thought” (p.93), with no mention of James O’Connor’s (1988) seminal work on the subject. This absence is surprising given the proximity of O’Connor’s analysis of the “second contradiction” to Moore’s own argument (and all the more so given that Moore cites other works by O’Connor elsewhere in the book). Nor does Moore’s account of capitalism as a historical project, to which the production of nature as external is essential to rendering natures cheaply appropriable, engage directly with Neil Smith’s (1984) groundbreaking work on this topic. Moore implicitly critiques Smith for his understanding of the production of nature as a unilateral process, emphasizing in contrast the “co-production” of capitalist ecologies (p.79). But instead of engaging directly with these theorists, Moore makes his critique of Cartesian dualism into a general excuse for dismissing the majority of Nature-Society scholarship before him, reinventing some basic wheels of eco-Marxist criticism in the process. The result is a lost opportunity to strengthen the theoretical foundations of world-ecology. Indeed, Moore’s project is characterized first and foremost by a drive to hunt down and root out this dualism wherever it has invaded “Green Thought”. But the same vehement anti-Cartesianism that gives the book its motive force also highlights its most glaring omissions. Prominent among these is the absence of perhaps the most foundational anti-Cartesian of all, Benedict de Spinoza. Whereas Descartes’s dualism conceives mind (thought) and body (matter) as two ontologically distinct substances, Spinoza’s monist philosophy posits a singular substance of which thought and extension (matter) are attributes. Spinoza’s God, unlike the God of Descartes, is not a transcendent creator but, rather, this very substance immanent in its multitudinous expressions; hence Spinoza’s (in)famous formula “God, or Nature”, by which he meant “God, i.e., in other words, Nature”, identifying God as the “concatenation”–or immanent interrelation–of all things. Spinoza’s absence in Moore’s book would be unremarkable were it not for the philosopher’s immense influence on contemporary philosophy, political economy, and Nature-Society scholarship, and for the fact that Moore makes upsetting Nature/Society dualism the raison d’etre of his entire project. Through the work of thinkers as diverse as Gilles Deleuze, Bruno Latour, Antonio Negri, and Louis Althusser, Spinoza’s immanentism has been foundational to poststructuralist thought in general, and to contemporary Marxism, post-humanism, and new materialisms in particular–even where this influence may remain implicit (see Bruce Braun’s  review of some of this work in geography). Far from engaging with this scholarship, Moore dismisses much of it as so many “cyborgs, assemblages, networks, hybrids, and many more” that have not “directly challenged the dualist framing or world history” (p.5)–and he simply ignores the rest. Referencing “hybrids, assemblages, and networks” as highlights from “cultural studies” (p.33-34), Moore signals an unfamiliarity with the field of Science and Technology Studies and with the profound influence of these ideas on Nature-Society scholarship in geography and elsewhere. This is further evinced by his assertion that (the Antipode reader may be surprised to know) the “signal contribution of nearly a half-century of radical geographical thought” has been to theorize the social production of space, the citations here suggesting that this field reached its apex in 1989 (p.10-11). With the repeated assertion that all prior attempts to depart from Nature/Society dualism have failed, Moore struggles to invent his own terminology for “nature as a whole”, naming this the “web of life” through which civilizations develop in a “creative, historical, and dialectical relation between, and also always within, human and extra-human natures” that Moore terms the “oikeios” (p.3, 35). But it is hard to read Moore’s description of nature as a “flow of flows” (p.2) without wondering whether Spinoza has not already provided countless generations of scholars with precisely the monist and relational ontology for which Moore calls, and has indeed done so with a much more solid grounding in first principles. In this way, the ambition that gives Moore’s book its strength is also its greatest weakness. Moore sets out to do nothing less than to articulate, under the name of world-ecology, a “new paradigm” (p.3) for critical scholarship on capitalism, world history, and environmental thought that will transcend, once and for all, the dualism that for him is the singular source of all of the violence of modernity. “Just as we have been learning to move beyond the dualisms of race, gender, sexuality, and Eurocentrism over the past four decades,” Moore instructs, “it is now time to deal with the source of them all: the Nature/Society binary” (p.4, emphasis added). Bracketing for the moment the implications of this assertion for an intersectional understanding of capitalism, this clearly sets the bar for success rather high. But his critique of related scholarship that has sought similar ends is pitched at the level of terminology, not concepts. He claims for instance that words like “hybrids or fusions” “make sense…only if we presume an originary separation of Society and Nature” (p.44-45), and repeatedly denounces syntactical formulations that appear to him to portray “humanity and nature” rather than his preferred “humanity-in-nature” (p.75). On the one hand, this semantic critique fails to do justice to Moore’s interlocutors. For instance Donna Haraway’s (1991) “cyborg”, which Moore similarly characterizes as one of many attempts to “fuse or combine the relations of human and extra-human nature” that “come a dime a dozen in Green Thought” (p.35), was not simply a terminological innovation but a diagnosis of a concrete historical shift in which the divisions between nature and technology that had subtended modern “Man” were being transformed in practice. On the other hand, Moore is vulnerable to his own critique, since it is far from obvious that his language of “bundles of human and extra-human natures” (p.37) or “humanity-in-nature/nature-in-humanity” (p.5) offer sufficiently non-dualistic alternatives. Moore cautions against a “‘soft’ dualism that re-presents the dialectic of human and extra-human natures as an alternative to Nature/Society”, but the reader would be forgiven for asking how his “double internality”–describing “capitalism’s internalization of planetary life and process” and “the biosphere’s internalization of capitalism”–does not present precisely this kind of “soft” dualism (p.13). Not only does his ungenerous critique of previous literature make it less convincing that his approach alone provides us with these necessities. Beyond this, as the Out of the Woods (2016) collective has argued, is the problem that this intractable binary exists not simply as a scholarly conundrum but as a real abstraction that operates with material force within capitalism. Moore himself says as much (p.21), and yet his critical posture remains one of ideology critique, revealing how capitalism operates across this divide in practice. But taking seriously the force of Nature and Society as real abstractions means that we cannot simply step “out of the Cartesian binary” (p.37) through new historiographical strategies, but must confront it as a material reality on the level of political praxis (Out of the Woods 2016). Moore writes that “[w]ithout a world-historical reconstruction…the critique of Nature/Society dualism will remain theoretical when it needs to be methodological and historical” (p.14). But this can only be the case if by “historical” we don’t mean historiographical, but rather a praxis unfolding in history–a sense we do not get from Moore. With his faith that the right vocabulary and historical method will finally free us from the “prison house of the Cartesian binary” (p.5), Moore ironically reproduces that very binary (that is, the original one opposing mind to body) insofar as it underpins the idea that intellectual development proceeds apart from lived reality and acts on history as an external force. But if Moore’s ambition seems to set the project up for failure on its own terms, this should not discount the work’s considerable contributions. Already on page 3, it is apparent that despite his more grandiose claims, Moore’s true intervention is in the realm of world historical accounts of capitalism. “World-ecology,” Moore writes, “asks us to put our post-Cartesian worldview to work on the crucible of world-historical transformation” (p.3). Moore’s real complaint is therefore not so much about the lack of non-dualistic paradigms as such, but that these have not been incorporated into the field of world history and world systems scholarship (p.24). Citing the work of geographers such as Bruce Braun, Noel Castree, Neil Smith and Jake Kosek, Moore offers the caveat that “[t]ranscending the Nature/Society binary has been one thing to do philosophically, theoretically, and through regional- and national-scale history. It has been quite a different enterprise for world-historical change” (p.39). To bring a relational ontology to the study of capitalist world history is no mean feat (and certainly a more academically honest one than to put the binaries of Enlightenment thought to rest once and for all). In this endeavor, Moore makes important strides. His “Big Four inputs” of cheap food, labor-power, energy, and raw materials form a transhistorical necessity for any expansion of capital accumulation, but the shifting dynamics of how and where Cheap Natures are produced is the history of capitalism itself. To Giovanni Arrighi’s (1994) historical periodization of capitalism in terms of successive regimes of accumulation, Moore adds the production and appropriation of Cheap Nature as the enabling condition for and historical limit to any expansionary moment. Every expansion of accumulation, we’ll recall, is for Moore predicated on a growing “ecological surplus”–the ratio of appropriated to capitalized natures (p.149). This surplus is produced through “world-ecological revolutions” that enable the production of Cheap Nature on an expanded scale. Thus, Moore argues, taking up Arrighi’s periodization, “Dutch hegemony emerged trough a world-ecological revolution that stretched from Canada to the spice islands of Southeast Asia; British hegemony, through the coal-steam power and plantation revolutions; American hegemony, through oil frontiers and the industrialization of agriculture it enabled” (p.163). In chapter 7, this notion of world-ecological revolutions allows Moore to find the origins of the Anthropocene in the “revolution in human-initiated environment-making” beginning in the 15th century rather than the industrial revolution of the 18th (p.181). This progressive expansion and exhaustion of the ecological surplus provides the basis for Moore’s notion of ecological limits, where exhaustion signifies the “inability of a given productive complex to yield a rising stream of unpaid work–performed by human and extra-human natures alike” (p.68). The counter-tendency to the “general law of underproduction”–whereby capital undermines, on a local level, its socio-ecological conditions–is therefore an expansionary “frontier movement” (p.115). On a world historical scale, this means that capital shifting away from production occurs not only due to competition, but also due to the exhaustion of historical natures (p.162). But while Moore disavows the idea that “Nature in general” (p.116) poses a limit to capital, his notion of capital’s “frontier movement” suggests in fact that both the geographical finitude of the Earth and the spatio-temporal mismatch between capital accumulation and socio-ecological reproduction pose limits to capital in the long term. In seeking new frontiers of appropriation, successive regimes are expansionary not only with regard to accumulation but also in their geographical scope (p.161). Moore notes that capitalism is therefore faced with two contradictions: the first “between the finite character of the biosphere and the infinite character of capital’s demands”; and the second “between capital’s need to expand and to accelerate the uptake of work/energy relative to the reproductive requirements of carried elements of the web of life” (p.112). Moore’s central question in the second half of the book, therefore, is whether “today’s frontiers are of sufficiently great mass–in terms of work/energy–that they can restore the Four Cheaps, provide investment outlets for now massively overaccumulated capital, and revive accumulation”, and if so, how long these frontiers might be sustained (p.115). The analysis offered in the later chapters of the book suggests that the answer is “no”, and here Moore arrives at some of his most unique and provocative conclusions. Moore argues that neoliberal capitalism has used a “strange mix of finance and empire” to impose “coercive overproduction and forced underconsumption–without a productivity revolution” (p.257). In a chapter charting the “Long Green Revolution”, Moore argues that the postwar expansion of industrial agriculture sustained Cheap Food into the 1980s, enabling the fall in food prices after 1975 that “underwrote the initial phases of neoliberal restructuring” (p.255). By the mid-1980s, however, this productivity growth was slowing. Since then, the neoliberal debt regime has increased food dependency in the global South without inaugurating a productivity revolution that would sustain Cheap Food, a new reality signaled by rapidly-rising food prices amidst a general “commodity boom” in the early 2000s (pp.265-267). Unlike previous eras, Moore argues, there are no promising frontiers of major agricultural productivity (he discounts the possibility of China fulfilling this role [p.266]), and while new extractive investments have proliferated, these are in high-cost technologies that will not lower energy costs. Meanwhile, the pesticide-fertilizer “treadmill” (p.250) inaugurated by the Green Revolution means that food and energy costs are increasingly linked, and these in turn are bound up with financial dynamics (p.269). This leads Moore to conclude that contemporary capitalism may be “exhausting its longue durée ecological regime” (p.304). Like labor strikes, nonhuman resistance in the form of soil depletion or “superweeds” reduces the amount of work/energy available to capital. Human and extra-human natures therefore occupy a continuous terrain of class struggle linking “environmental” issues to labor politics. While Moore describes this as a transhistorical feature of capitalism, he also marks an epochal shift in which nonhuman resistance has been raised to a new pitch, through a generalized “superweed effect”–whereby capital’s efforts to “tame” various forms of nature prompt the latter to adapt in ways that “elude and resist that control” (p.273). This positive feedback loop has led, Moore argues, to a new era characterized by “negative-value”, “understood as the accumulation of limits to capital in the web of life that are direct barriers to the restoration of the Four Cheaps: food, labor-power, energy, and raw materials” (p.277). The accumulation of negative value is directly linked to the closure of frontiers, such that capital is increasingly exposed to the toxic effects of its own technological fixes to nature’s resistance (p.274). Challenging the production of Cheap Nature as both source and sink, climate change and the superweed effect form the two “major streams” of negative value in the current moment (p.280). In his conception of ecological limits in terms of extra-human resistance to capital, Moore opens up promising vistas for political theory and action in response to environmental change, echoing and enhancing the new materialist turn in Nature-Society geography that has foregrounded the liveliness of nonhuman natures as they enable and resist capitalist production (Bakker and Bridge 2006; Braun 2008). Moore goes beyond that literature by laying the theoretical foundation for a posthuman labor politics (even if the practical problems of how to organize across the Nature-Society divide exceed the scope of his book). The strategic question not posed by Moore here is how such a movement might make ecological catastrophe a crisis for capital, while preventing capitalism from taking the rest of the world down with it. It is here however that Moore’s ideology critique of Nature/Society dualism poses a limit to his own analysis. Moore writes that it is not the task of world-ecology to explain “the separation of humanity and nature” (p.82), but, on the contrary, any analysis aimed at transforming contemporary capitalist ecologies would seem to demand precisely this. Much of the most exciting recent work in Nature-Society geography has shown how the distinctions between human and nonhuman, nature and technology, production and reproduction, and mental and manual labor are being radically transformed in contemporary capitalism. For instance, Elizabeth Johnson and Jesse Goldstein’s (2015) work on biomimicry has shown how the lively capacities of nonhuman organisms–from jellyfish to lobsters and octopi–are enrolled directly in the production of value through new technological apparatuses that demand a more-than-human understanding of Marx’s notion of the “general intellect”. Similarly, Melinda Cooper and Catherine Waldby’s (2014) work on tissue donors, Kaushik Sunder Rajan’s (2006) analysis of biocapital, and Mazen Labban’s (2014) research into biomining demonstrate the radically new productive associations across the human-nonhuman divide that underpin contemporary capitalism from high finance to extraction. While Moore claims that traditional notions of absolute environmental limits underestimate the adaptability of capitalism (p.292), his own treatment of Nature/Society dualism risks repeating this error by failing to attend to the intersectional processes through which these categories themselves are transformed as the line separating production and reproduction (and thereby capitalization and appropriation) is reworked throughout capitalist history. Much of this recent literature has taken up the analysis of contemporary capitalism stemming from the Italian tradition of Autonomist Marxism, a founding insight of which has been that the individual human subject of labor has been radically displaced in contemporary capitalism to encompass the entire “social factory” (Negri 1996). If the individuated, gendered, human subject of labor was both prerequisite and product of modern capitalism, scholars such as Johnson have extended autonomist insights to show that the labor-power enrolled in contemporary production is irreducibly more-than-human. This is not to say that it was ever simply human, nor is it to suggest that nonhuman capacities directly produce surplus-value unmediated by human labor. But by treating the Nature/Society binary as a transhistorical constant, Moore leaves the category of labor unproblematized, sidelining qualitative historical changes in the way that socio-ecological capacities are both exploited and appropriated. Whereas autonomist theorists have emphasized the uneven temporalities of exploitation in contemporary capitalism, capitalism for Moore remains characterized by the time of the factory, in which the production of equivalence in the realm of exchange is conflated with the production of homogeneity in time and space (Moore suggests that nature rebels not against exploitation as such, but because “no one, no being, wants to do the same thing, all day, every day”). Moore’s ideology critique of Nature/Society staves off the perhaps more radical question of how that binary has shifted over time as an object of struggle, and how it is being qualitatively transformed in the contemporary conjuncture named by the Anthropocene. What is lost in Moore’s account, therefore, is an understanding of how the concrete conditions of contemporary existence–and not simply of contemporary scholarship–may provide opportunities for the kinds of new ecologies that he desires. Based on his analysis of the limits to neoliberal capital’s production of Cheap Nature, Moore (echoing the writings of eco-Marxists in the 1960s) argues that the only possible future involves a “socialist ecology” that could revitalize productivity and recycle wastes through “agro-ecology, permaculture, and other non-capitalist agronomies” (p.286-287). But what makes these technologies inherently non-capitalist is far from obvious–presumably it is because they do not reproduce the Nature-Society binary in the way that Moore identifies it, and do not obey the logic of industrial monoculture. To return again to Johnson’s work with Goldstein, which has shown how biomimicry has been celebrated as inaugurating postcapitalist ecologies even as it is enrolled in cutting-edge military and industrial research (Johnson and Goldstein 2015), here Moore risks mistaking technology for politics. Understanding the concrete conditions that might give rise to a future “socialist ecology” (or, for that matter, a communist or anarchist one) requires attending to the changing ways that Nature and Society (and Culture, Humanity, etc.) operate as real abstractions rather than ideological constructs in contemporary capitalism. This endeavor would be entirely consistent with the world-ecology framework, but would also require conceptual and political resources that lie beyond its purview. In this regard, perhaps the greatest limit to world-ecology is its all-encompassing ambition. As evinced in Moore’s opening pages (and in the proceedings and CFPs for a proliferation of World-Ecology conferences and panel sessions), there is an evangelical tinge to the world-ecology project, insofar as it seeks to incorporate all relevant research in Nature-Society geography, environmental history, and political ecology into its sphere of influence. In his introduction, Moore positions his work as an attempt to give name to an emerging paradigm that is “breaking out all over, especially among younger scholars. I will call this paradigm world-ecology” (p.3). While Moore claims that his book provides a “contribution” to this work rather than an “encompassing definition”, it is clear that the ambition of world-ecology is to be this unifying framework, insofar as he locates the failure of other non-dualistic paradigms in that they have not achieved this unifying reach. Moore claims that world-ecology demands a diversity of theoretical approaches, but his own engagements with his interlocutors do not demonstrate this. Instead, his tendency to strawman related work in Nature-Society scholarship while reproducing some of its key insights forecloses the very diversity that might give world-ecology its vibrancy. It also risks distracting sympathetic readers from the real import of his work. Nevertheless, with all of the considerable intellectual resources that Moore’s book provides, there is certainly hope that the new generation of scholars who may or may not find themselves hailed as world-ecologists will take up these resources in the pluralistic–and politically engaged–manner that would give Moore’s concepts the transformative force to which they aspire. As my colleague Charmaine Chua pointed out, scholars of settler colonialism such as Glen Coulthard (2014) and Rob Nichols (2015) have made similar interventions with regard to the primacy of appropriation in capitalism. Moore’s argument here deserves a fuller analysis than is possible in this review. Moore arrives at his understanding of the tendency for the ecological surplus to fall through a revision of Marx’s analysis of the tendency for the rate of profit to fall as a result of technological change (that is, a rising ratio of constant to variable capital). But whereas Marx identified the root of this tendency in a shrinking proportion of variable capital (the form of capital [labor-power] that is capable of producing surplus-value), Moore frames this primarily in terms of rising production costs. Moreover, as Harvey (2006) has shown, the implications of technological change for the composition of capital are far from straightforward, depending on in which sector it occurs and on the internal dynamics of competition among capitals. Because Moore treats capital as monolithic, these internal dynamics remain unexamined. This is not to imply that Spinoza’s work was a simple rejection of Descartes; as Genevieve Lloyd (1996: 10) writes, Spinoza was an avid reader of his predecessor, and “developed, from Cartesian starting points, doctrines that were for the Cartesians outrageous”. That Descartes’s dualism posed an ontological split between body and mind, not nature and society, does not merit discussion in Moore’s work; we are left to assume that this maps onto contemporary “Nature/Society dualisms”. An empirical engagement with Moore’s claims regarding the scarcity of contemporary frontiers is not possible here; however, it may be worth noting that in his monolithic treatment of capital, Moore sidesteps the role of competition in opening up frontiers within already capitalized nature–for instance, through “disruptive” technologies that might undermine formerly-commodified relations. On this point see Out of the Woods (2016). 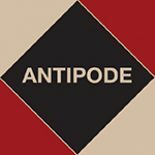 This entry was posted on 9 March 2016 by Antipode Editorial Office in Reviews and tagged appropriation, autonomism, Capitalism, Cartesian binary, co-production, commodification, Crisis, energy, exploitation, feminism, food, immanentism, labour-power, Marxism, Marxist-feminism, Nature, nature-society dualism, neoliberal natures, real abstraction, relational ontology, resources, Spinoza, the production of nature, value theory, world-ecology.